Anna Kosińska, head of the ADAMED SmartUP programme, was a speaker at this year’s TEDxKazimierz. On Saturday 22nd April, at the Variété Theatre in Cracow, she told the audience about how the ADAMED SmartUP scientific and educational programme helps gifted teenagers from all over Poland to develop their talent for science. The incredible popularity of TED, short for Technology Entertainment and Design, led to the organisation of small, local events with a similar formula under the name TEDx. What distinguishes them from traditional, academic lectures is the time the speakers spend on stage. It is limited to 18 minutes, which allows the audience to hear many intriguing stories during one conference, and the speakers have to describe the project they are working on in a compact way. 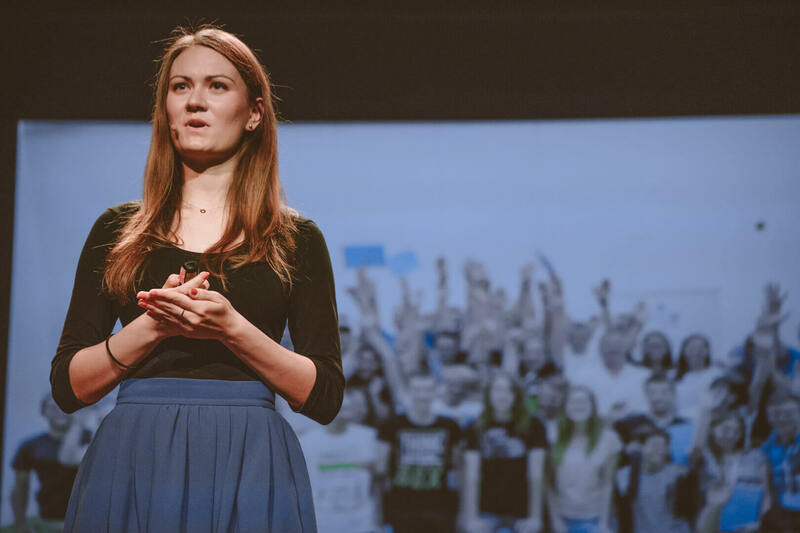 This difficult task lay before Anna Kosińska, during this year’s edition of TEDxKazimierz, where she talked about the ADAMED SmartUP programme she directs. The audience gathered at the Variété Theatre in Cracow got the chance to learn about the aims of the project (as much as possible in such a short amount of time). They heard how 15,000 pupils from schools all around Poland have already participated in the past three editions. They also heard about the different stages in the selection process for the scholarship recipient from such a large group of finalists – starting with the educational game available for everyone, up until choosing the winners. They were also convinced that the programme is not only useful for the closed group of scholarship recipients, but practically anyone who takes part in its activities. ADAMED SmartUP is also an on-line platform with materials explaining scientific problems, and a series of free courses and workshops for teenagers. The audience also heard how the main purpose of the project is to promote interest in exact and natural sciences among pupils. The recorded speeches from the TEDxKazimierz conference will soon become available on the YouTube channel TEDx Talks.